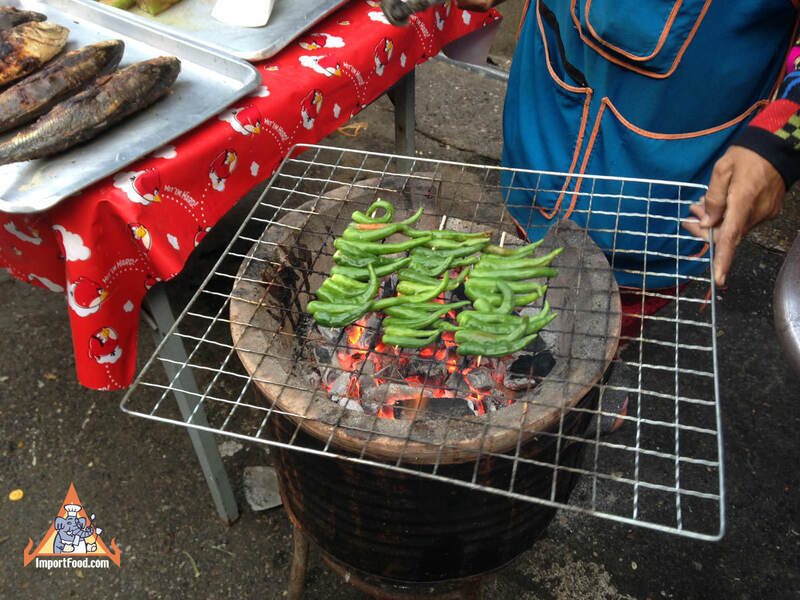 This vendor in Kanchanaburi has a combination of fried fish, and charcoal-roasted "Chee Fah" (mild) chile peppers. Take the peppers home and pound them up in a mortar & pestle with the fish, to make a delicious paste that's wonderful spooned over fresh jasmine rice. 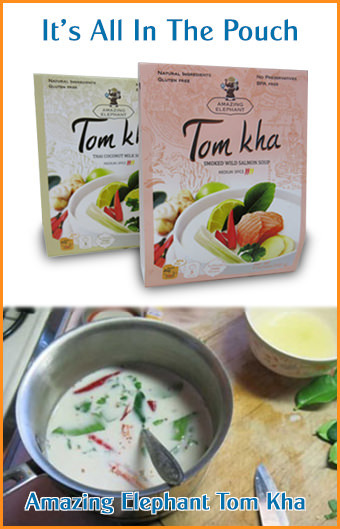 This would be similar to the premade pla tu chile paste we offer at ImportFood.com. 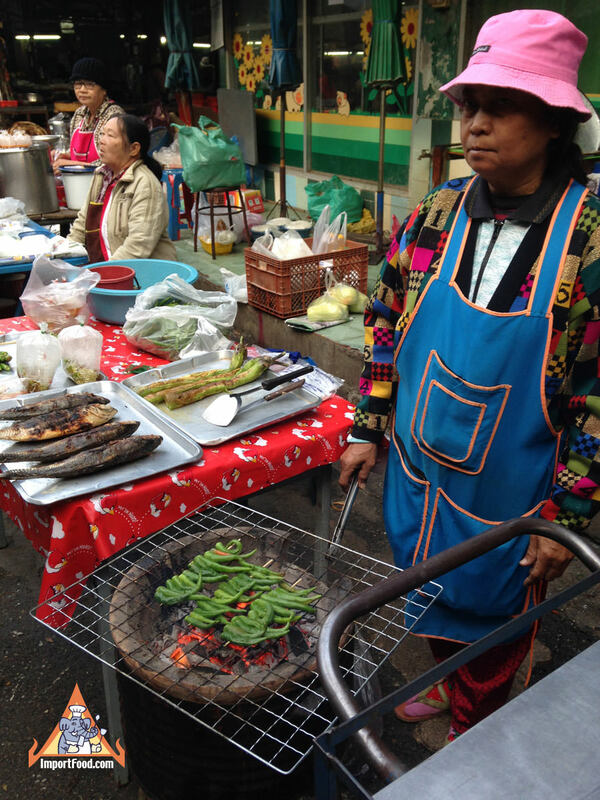 Preparing a nice fried fish like this is featured in our video for Pla Rad Joo Khing. Enjoy Thai Street Vendor Reports? You might also be interested in our comprehensive report on the outstanding food finds in Bangkok's Saochingcha area.